As the year comes to a close and we reflect all that has taken place these last 12 months, we’ve put together a list of the top meetings industry things that have happened in Columbus in 2017. In no particular order, below are 10 things for which we’re thankful from the past year. The $140 million renovation and expansion of the Greater Columbus Convention Center. Bill Behrens, CMP, CTA, Experience Columbus director of convention services, being honored as Convention Services Manager of the Year by the Event Service Professionals Association (ESPA) and Successful Meetings Magazine. Support from our community through the Make it Columbus initiative, allowing us to host successful meetings for groups such as the National Association of Counties 2017 Annual Conference and the Girl Scouts of the USA G.I.R.L. 2017. The opportunity to continue working with and growing our annual groups such as the Arnold Sports Festival, AmericanHort’s Cultivate, the Thirty-One Gifts Annual Conference and the All-American Quarter Horse Congress. The continued diversification of our hotel offerings through the opening of the 149-room Hotel LeVeque, an Autograph Collection Hotel, in downtown’s historic LeVeque Tower. 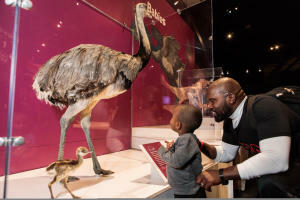 New experiences for attendees who bring their families and turn their trip into a vacation with the opening of the American Museum of Natural History Dinosaur Gallery at COSI. Recognition by Expedia as one of the 16 most tourist-friendly cities in the U.S. 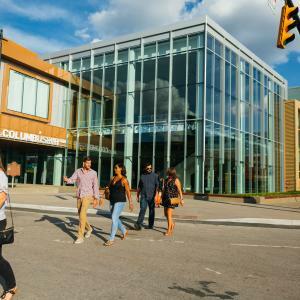 Concerted efforts to make it easier than ever to get around the city with new free transportation options and the beginning of a staggered streetscape improvement of High Street. New national sales managers, through the promotion of Leah Zender from sales manager and the hiring of Celia Anderson, who help to bolster national sales efforts and support the newly expanded Greater Columbus Convention Center as Columbus continues to emerge as the next big destination for meetings, events and tradeshows. An easy way for guests to get to know Columbus-made products and establishments with the launch of the Made in Cbus Trail.